The Best of This Year’s Advent Calendars! It’s that time of year again! And I won’t mention the C word don’t worry! But we’re already heading face first into advent calendar season! It’s at moments like this I wish I was made of money! However, unfortunately I’m not! So, I thought I’d put together a wishlist of all the advent calendars I’d buy if I had like £1200… which obviously… I don’t! I’ve put them in order of release! Enjoy! I feel like Makeup Revolution is the go to for the affordable calendar brands. At full prize I feel like this is quite a lot, but if the last few years are anything to go by, Superdrug will reduce the calendar around October/November time. There are two version of this calendar depending on your budget… but then again they’re very similar prices. Rituals is a GREAT brand and the Christmas tree design is adorable! I have had the Body Shop advent calendar two years now and I think it really is a GREAT one! I do feel like it contains a lot of hand and body creams… but then again, this is what the Body Shop does very well! They have three different boxes at different price brackets and it’s a nice one for a mix of skincare and makeup! I’ve actually never really looked into this one before, but it really is tickling my fancy! The only reason I’m not buying it, is that I don’t actually have £165… However, there are some great brands in here like Lancome, REN, Laura Mercier, Elemis, Aveda, NARS and Clarins. I’m LOVING the colourful baul baul pattern! Brace yourself… I haven’t ever tried anything from Clinique! And so I feel like this would be an AMAZING introduction to the brand. It’s at moments like this you realise just how many brands L’Oreal own. This box looks amazing, full of so many high end makeup, skincare and fragrance brands.. I’m not so sure I’m convinced by the disco pattern. I’m totally getting this one, I’ve had it the last two years and it’s been hands down my favourite calendar (maybe on par with the M&S advent calendar). 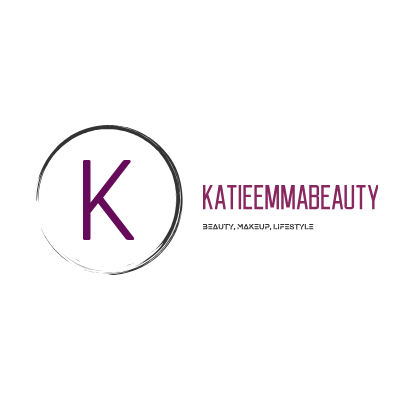 It’s the perfect mixture of skincare, haircare and makeup and the brands are incredible! Another newbie and another I really want to try! I feel like Elle is a go to magazine for women and they know what they’re talking about! With the sneak peaks I’ve seen this will be a cracker and I really want it… just don’t want the £125 price tag…. The Harrods beauty advent calendar is back and it’s once again one of the most expensive ones. The front is beautifully designed as always and it has some amazing brands in it like Sunday Riley, Tata Harper, Sisley, Charlotte Tilbury and By Terry. This is a box I missed out on last year because it sold out! And I really really wanted it. Like Glossybox, Birchbox have some great brands in it! Another one I’ve had before. The products are said to be chosen by experts in the industry and promise to be the best names in the business. I’m intrigued to see what this year’s got in store! NYX is an incredible incredible brand! This year it has fan-fave formulas in 24 new shades! I mean just look at that collection of items! Stunning! Truly stunning! Not sure on the design, but the product this year look… just the best! I really do love Sleek makeup and I really do think these advent calendars are so so good for their price range. The only reason I’m not going to pick it up this year is it is full of a lot of pencils and lip stuff.. and I don’t really want anything like that right now. No.7 is hands down one of my favourite all round brands! I feel like they’re a high end brand priced just above drugstore. However, looking at this pic.. the contents really do look very similar to last year… which is a shame! The third newbie of the list! I feel like Debenhams is such an underappreciated shop! Their makeup, fashion and homewear stuff is so good! I’m excited to see what they’ll put into their first advent calendar as some of those boxes are pretty big! I think this is the best priced advent calendar of them all! It’s a spend £35 M&S and get it for £35 box and it contains some of the best of the beauty world! I think their previous designs have been much cuter, but I’m still getting it!!!!! Plus, I love how M&S are bold enough to wait until November! And that’s the end of that! Which one (or ones like me) do you think you’re gunna pick up this year? I may or may not have already bought one… haha!